Top Notch LawnCare provide a full range of professional lawn care and landscaping services at affordable prices. We have an excellent reputation for providing reliable quality service. 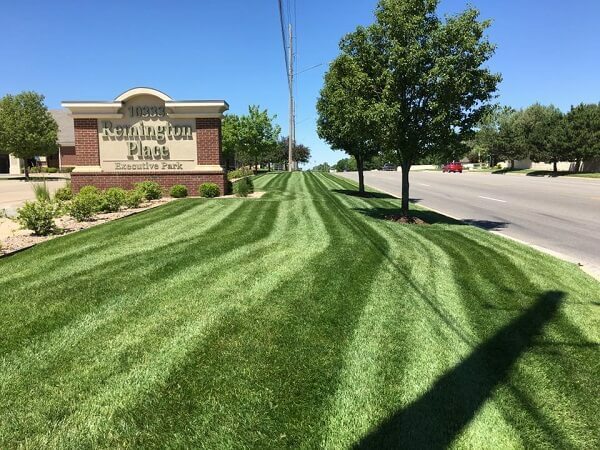 Our attention is fully dedicated to you, the residential home owner, and we are committed to providing you with a level of convenience and customer service you have never experienced from any other lawn care company. Apart from Lawn Care and Landscaping we also provide Lawn Mowing, Tree/Shrub Trimming, Snow Removal, Fall/Spring Cleanup and Flower Bed Maintenance at affordable price. If you are not completely satisfied with the quality of our lawn care service, we will re-do it no questions asked. If you are still not satisfied, we will pay a competitor of your choosing to fix the problem. No hassle. No problems. Please call Top Notch Lawn Care at +1 316-641-6602 and Order to have us service your property! Mowing the lawn is something of a chore to most people, but not us. We view lawn mowing as a blend of art and science, to be practiced to perfection. Proper tree and shrub trimming is about maintaining good health, aesthetics and keeping your property and landscape safe from falling tree limbs. Spring is coming and it’s time to start thinking about mulching your flower beds for the summer. We nurture young seedlings and shape mature growth.